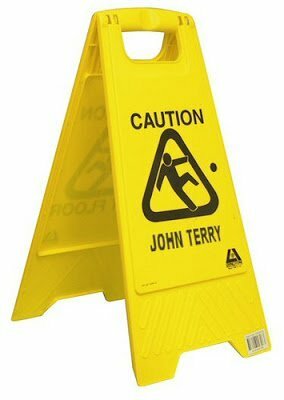 John Terry is a defender who combines several qualities. Fast, strong, intelligent and even with some refinement, it was not long before the player became the captain of the English team. However, even with so many predicates, Terry has a career marked by controversy and extrapolate events, ranging from the missed penalty in a Champions League final and extending even to his father’s involvement in drug trafficking . 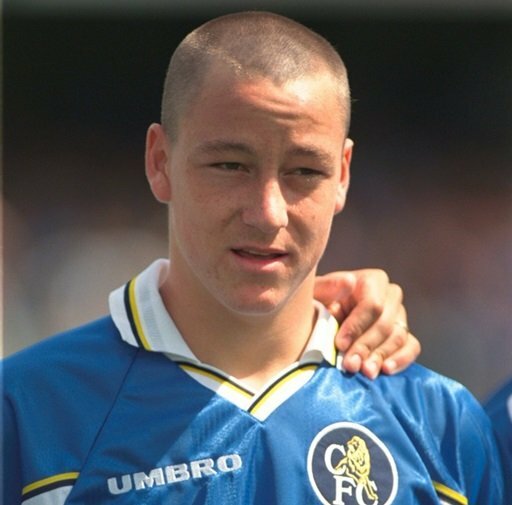 Terry started his career at West Ham but went to Chelsea even during the base categories. Professionally, he debuted in 1998, underwritten by Nottingham Forest in 2000. Since then, he has built a solid career by refusing an offer from Huddersfield (then in the second division) and returning to Chelsea the following year. From there, he took on the team captain’s armband, won three times the English Championship title and got involved in various confusions, both on and off the field. Terry’s early career, by the way, had already shown him as a successful name for the news. When he received the £ 750,000 bid for quarterback in 2000, Chelsea did not hesitate to accept, and the deal just did not go away because Terry stomped. At the time, Terry was a player of the U21 team of his country, which did not prevent him from getting involved in two problems in the following years that could complicate – and much – his career. In September 2001, less than two weeks after the terrorist attacks in New York, Terry and some fellow Chelsea (including Frank Lampard and Eidur Gudjohnsen) provoked American tourists at Heathrow Airport in London. Drunken, the players cursed the visitors, danced and stripped . Result: a £ 130,000 fine imposed by his team. The following year, the player staged a bar fight in London , alongside Jody Morris (then Chelsea player) and Des Byrne (former Wimbledon athlete). He spent the night at the police station and was accused of assault – he was cleared but won a temporary suspension from the English, professional and U21 selections. However, Terry’s technical characteristics were giving him space at Chelsea, with coaches like Claudio Ranieri and José Mourinho, and in the English team, in which he debuted in 2003 for the main team. In 2005, when he was already behind the London side with Ricardo Carvalho, saw the sector become the most solid in Europe. And since Stamford Bridge was the millionaire investment destination of Russian tycoon Roman Abramovich, Terry and his companions (some of them hired with such investments) also stood out for the good results. In 2006, the 26 shirt seemed to be experiencing a lull phase, which turned into unprecedented momentum. Against Reading, in the 2006/07 season of the English Premier League, the defender had the task of taking over the team as Petr Cech and Carlo Cudicini had been injured on the pitch. The experience lasted just over a minute, and the only accomplishment of Terry in the position was to collect a foul suffered by Chelsea in the defensive sector. But the season also had setbacks for the already star of the team. In November, against Tottenham, he was sent off for the first time in his professional career. The following month, complaining of back pain, he had to undergo surgery to remove a vertebra, which took him out of the field until February. In the same month, he twisted his ankle in the match against Porto by the UEFA Champions League, which almost got him out of the English League Cup final. He returned, and managed to play the game on February 25. Result? A split with Abou Diaby caused him to be unconscious on the field and removed to a hospital. The punishment came next season, just in one of the most important moments in the history of Chelsea. In front of Manchester United, the London club disputed the final of the Champions League of Europe. And after a 1-1 draw in the normal time, the English rivals took the penalty shootout. Terry was responsible for the fifth charge of the Blues , but slipped and sent out the ball that would give the European title to the club. In the end, Manchester won by 6 to 5 , and the defender wept copiously on the lawn of the Luzhniki Stadium in Moscow. It became a joke on the internet . The episode prompted the player to release an open letter to the fans on the Chelsea website. “A lot of people told me I did not have to say anything about it, but I feel like I have to. This is me. I have relived that moment since it happened. I have slept a few hours and I always agreed that this moment was just a nightmare. I have had surprisingly support from the fans, players and former players, family and friends and I have to thank everyone for it. But I am a great man and I blame ourselves for not being beaten, “he said. “I am and always will be Chelsea, whatever the cost. I’ll do my best on and off the field to win this trophy as a player and a day as a coach. And I’m sure we will win, “added the defender – surprising,Manchester United fan during his youth, he told The Guardian . Subsequently, the incidents showed that John was not the only one having problems in the Terry family. In March 2009, Sue Terry, the mother of the player, and Sue Poole, her mother-in-law, were spotted stealing from a department store and a supermarket. Later in November, Ted Terry, the defender’s father, was filmed by the News of the World newspaper selling cocaine. You think it’s over? In December, disguised reporters (from the same newspaper) managed to persuade John Terry to “sell” visits to Stamford Bridge – which is banned by Chelsea – for about £ 10,000. For about two hours, Terry circled the two journalists, who filmed players resting and training. And when it all seemed to have happened in his life, behold John Terry made one more. In January 2010, the defender made his latest appearance on the covers of the British tabloids, which disclosed the romance between the player (married) and French model Vanessa Perroncel , former girlfriend of defender Wayne Bridge. Former Terry’s teammate at Chelsea, Bridge refused to compliment the rival in the departure of his new club, Manchester City, and Chelsea. In February, Terry’s bungs cost him the captain’s cap of the English team – in South Africa, Fabio Capello’s team would be captained by Rio Ferdinand. Bridge has been called off from the group, which will have problems in the World Cup – in addition to having the trouble-shooter, the English embark without stars like David Beckham and Michael Owen, injured. And John Terry, ironically, was one of the key pieces of Capello’s strong team. But Terry also has good times to celebrate as a player. In addition to the 11 titles for Chelsea, the player still has in the curriculum his boots, donated in March to Manoel Ribeiro. A masseuse of the team, the Brazilian received the autographed shoes and put them up for auction to help defray the treatment of his niece with cancer . The final bid was R $ 5 thousand . Regardless of whether you’re arranging a grill with companions or simply searching for a space for open air exercises, in Dubai there’s a recreation center for each event at https://www.airmaniax.com. Dear in your country, the 6 shirt of the English team is still the theme of online games. And despite the recent problems involving his married life, Terry publicly demonstrates attachment to the family. In 2006, when he received from his wife Toni the news that he was pregnant with twins, he celebrated his goal against Hungary (the second in a 3-1 friendly win) to imitate a baby. Three years later, he was named “Father of the Year” in a survey conducted by a UK condiment brand.